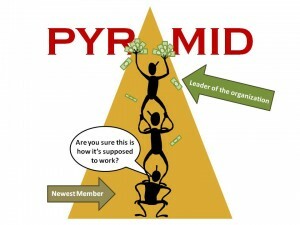 MLM Scams - Is Network Marketing a Pyramid Scheme? MLM Scams? Are they or not? There’s a lot of talk on the internet about MLM scams and whether network marketing is a pyramid scheme or not. Hopefully this article will shed some light on the subject (yes, it’s long, but smart people will read the whole thing and they will be much more discerning as a result). If you are a skeptic or a critic of the network marketing business model, my hope is that this post will enlighten you and give you some new perspective (if you have an open mind, that is). If you are a network marketer yourself, my goal is that this post will help you to overcome some common objections with your prospects, and serve as a resource that you can point people to in order to help them understand the business model (so yes, feel free to share it with others). And finally, if you’re looking to get started in network marketing, this article will help you to judge what is and is NOT a pyramid scheme so you know what MLM scams to avoid and what you actually should look for when selecting a network marketing company. If you’re in network marketing, I’m sure you’ve heard some of these. 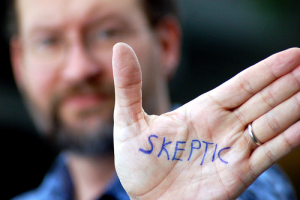 If you’re a critic who believes the MLM scams rumors to be true, I’m sure you’ve thought some of these things. Hopefully the interview I’m about to share with you will dispel a few of these myths and put them into perspective. Before I share this interview with you, I’d like to ask you a question. Do you believe the insurance industry is a scam? 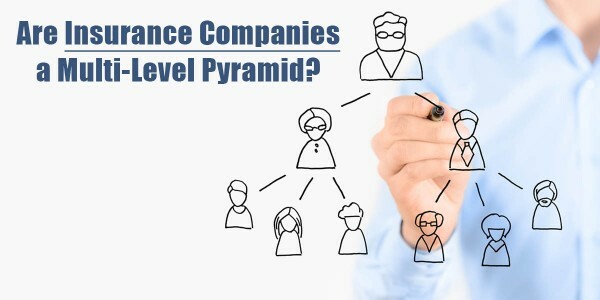 Have you ever heard anyone say that insurance sales is a pyramid scheme or that insurance sales just doesn’t work for most agents and therefore should be shut down by the FTC? I’ve not heard anyone say that, have you? I don’t know about you all, but that sounds a lot like these so called “MLM scams” to me. So to the critics who believe that network marketing should be shut down or be made an illegal business model, I would ask … do you also believe that the insurance industry should be reformed and/or shut down? According to the interview above, only 1% of insurance agents recruited ever make the big money. 90% don’t make it past 3 months. About half of the agents recruited lose their investment they spent on getting trained and licensed … and the ones that did make their money back, it sounds like the initial sales volume for most new reps was made off of selling to family members and friends. Now … as any good debater should do, I will also consider the opposing stance to this comparison. Perhaps the critic might say, “Well, it’s different because insurance agents aren’t asked to recruit their friends and family to become agents. They only sell them a product and no commissions are ever paid for recruiting like it is in these MLM scams”. To this I would say a few things. 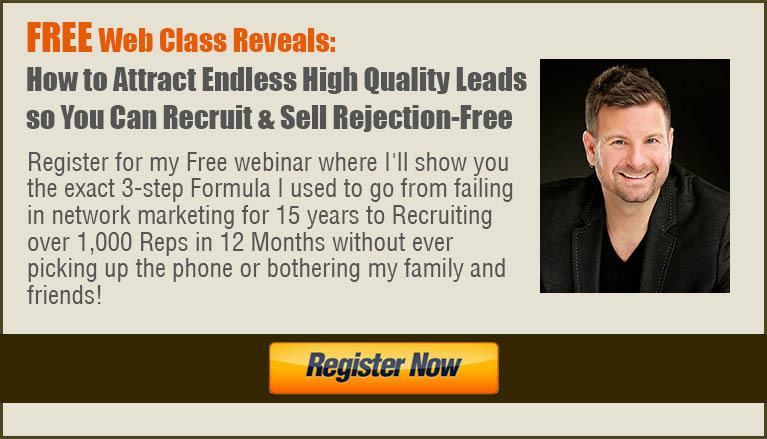 #1 – legitmate MLM companies do NOT pay for recruiting. This is illegal and the FTC will shut down any companies that do pay commissions for recruiting. If you are looking at joining any network marketing opportunity, make sure you pick one that only pays commissions when a product is moved … not when a new distributor is recruited. Additionally, it is my personal belief that friends and family are NOT for the purpose of leading with the business opportunity. Some network marketers might disagree with me on this, but personally, I believe that friends and family are for the purpose of sharing the product with. If you have a product that you really love and believe in, why would you not share it with the ones you know and love? … and why is it a problem for an average, every day person to earn a little extra money and get paid by the company for helping them to get the word out about their product. Nobody is making money from their friends and family. They’re making money from the company. The company is going to have to pay somebody to get the word out about their product (no product markets itself) … what’s the difference if an everyday average person is rewarded for that distribution process instead of some TV network or advertising agency? Now some friends and family members may show an interest in the business opportunity … to which I would say this. If they’ve tried the product, and they love it, and then they want to become a distributor to make some additional income, I don’t see why anyone should have a problem with that. It’s just that I don’t look to my friends and family for the sole purpose of recruiting them into a business opportunity. I share the product with them and when it comes to finding additional distributors to build a team, I use attraction marketing on the internet to attract other like-minded and motivated entrepreneurs to me. If you want me to show you my simple 3-step formula for how I do that, you might want to Attend my Free Attraction Marketing Web Class. To this argument, I would bring up a few different points. First, don’t you think insurance policies would be cheaper if the field trainer, sales manager, branch manager and regional director weren’t getting a cut? Or then again, maybe not. Perhaps without this incentivized commission model in place, the company wouldn’t have as much leverage (or revenue) because now there’s no financial motivation for good agents to help other people succeed. In that instance, the company would now potentially incur a larger expense in hiring dedicated trainers for each new agent. And without the mentorship of a manager who is financially motivated to help his team underneath him succeed, perhaps there would be less production by all and the company would have to raise the price of their policies in order to make up the added cost incurred from training their new agents and the potential lowered production. In my experience, I haven’t found MLM products to be unreasonably priced. For example, my wife owns products from Pampered Chef (a network marketing company which Warren Buffet, by the way says is one of the best investments he’s ever made) and we love the products we got from Pampered Chef and use them in our kitchen every day. They were well worth the price. 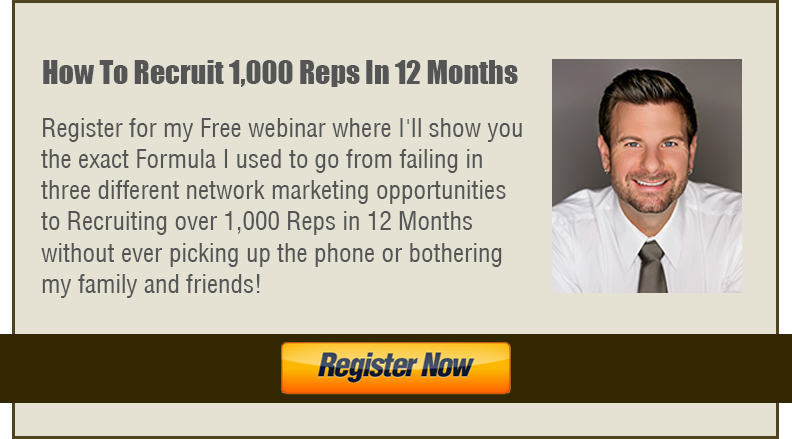 I own home workout products like P90x and Insanity from BeachBody.com (also a network marketing company). I did not find these products to be ridiculously priced (and no, I am not and never have been a distributor for Pampered Chef or BeachBody). Ultimately, I don’t think the “overpriced” argument really holds much weight anyway. It’s a moot point because price is subjective based on one’s own personal feelings and opinions. For example, some people will gladly spend $250,000 – $300,000 on a Rolls Royce Ghost while others would say that’s ridiculously overpriced when you can purchase a BMW 750 LI for a third of the cost of the Rolls Royce. They both get you from point A to point B. They’re both dependable cars. They both have nice leather and ride well. And on top of that BMW owns Rolls Royce. 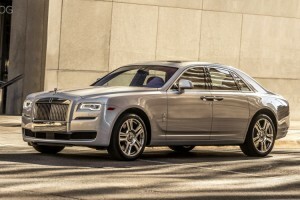 The ghost is actually built on the same chassis as the BMW 7 series. They’re essentially the same car and yet one is 3 times more expensive than the other. And some people gladly pay it. Personally, you may not think the Ghost is worth the price tag, and guess what? You don’t have to buy it (but some want to and do … that’s the way a free market economy works). The same is true for network marketing products. If you think a product is overpriced and you see no value in it for yourself, you simply don’t buy the product, but why do you care if other people do buy it any more than you should care if somebody wants to buy a $300,000 car? It certainly doesn’t make MLM scams because some people feel the products are overpriced. In the end, here’s what I believe about network marketing and why I believe they are not MLM scams. 1. I believe that people should NOT be incentivized in MLM to earn commissions from recruiting new reps, but rather on moving products ONLY. 4. I believe that network marketing and traditional businesses both require a lot of hard work to create success. The difference is that traditional businesses usually cost more to get started than MLM. For example, think about all of the equipment and physical expenses you would have if you wanted to open up a pizza shop. Traditional business owners usually have to develop their own product or service … get proper permits … set up proper entities and legal structures … figure out how to accept credit card payments … deal with refunds and customer service all in house on their own. These things are a huge barrier that keep many people from getting into business for themselves (and prevent many people from creating success at a much higher price tag and risk level than network marketing). I believe that Network Marketing is a low cost opportunity for the average person to start their own business without having to go through all of the hurdles that might prevent them from starting a business otherwise. No, I don’t believe network marketing is for everyone and no, I don’t believe that it’s the ONLY financial vehicle that can help people in this way, but it is certainly one option. 5. I believe that one of the main reasons there’s such a high drop out rate in MLM is because of the low cost of entry. Consider this, if somebody purchases a restaurant franchise, for example, they are financially motivated to make that business work no matter the hurdles encountered. On the other hand, most people can start their own network marketing business for a few hundred dollars (keep in mind, the interview with my insurance friend reveals that most new agents are going to be out of pocket $500-$700 to get trained and licensed as an agent), but when the going gets rough, a few hundred dollars is not enough financial motivation (for most people) to stick it out and force themselves to make it work. Additionally, most people are not relying on MLM to make a full time income. They’re doing it on the side while they continue to rely on their full time job (not that I think people should quit their job and go full time in MLM when they start … in fact, I don’t think ANYONE should do that). My point is that most people are pretty comfortable at their jobs. They’d LIKE to make more income. It would be NICE to create a better life. But for most people, the idea of sitting down after work to drink a beer and watch TV sounds way more appealing to them than getting uncomfortable and learning some new skills. Personally, I have found that human beings are most hungry and motivated when their back is against the wall. The truth is most people do NOT have their back against the wall (in other words, they don’t HAVE to make network marketing work in order to keep living their current lifestyle), and therefore most people quit instead of taking the time to overcome the hurdles and learn the skills required for success. 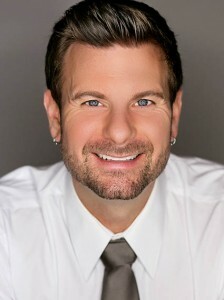 Ethan Vanderbuilt – Is MLM a Scam? I’ve spent almost 20 years in Executive Search, the high end of the recruiting industry. Like you, I don’t see much difference between a well-run MLM business & “traditional” bricks & mortar businesses. Your comparison with the insurance industry is very apt, especially so because as you note, life insurance reps have traditionally paid for their own training. In most other industries, though, reps are employees and training is paid time. But the rest of the model is no different: reps are recruited and trained by sales managers who are paid to manage, train, and motivate their reps. A Manager’s pay is invariably linked to performance of their business unit, either through a direct commission or through a performance bonus plan. Pay for Area/District or General Managers above them is similarly linked to performance. I like the insurance comparison, but you might try comparing MLM to the franchise industry. I think you’d find it even more clear how normal the business structure of MLM is. Like a Pizza Pizza franchise owner, an MLM rep purchases the right to run their own business selling a nationally-marketed product/service. They get a “business as a kit”, with purchasing, product supply, promotions and advertising all provided by the franchise owner, but they must adhere to corporate procedures & standards so product/service quality & delivery are standardized. That way, when I go to McDonalds I know what to expect, even though the local McDonalds is almost invariably a franchise owner who runs his own business. Compared to franchising as I see it two things set MLM apart: 1) the up-front cost of buying an MLM “franchise” is exceedingly low. Most franchise businesses will cost $10,000+ per location, plus a percentage of sales, whereas most MLM “franchises” cost a few hundred dollars. And of course, MLM businesses are not required to invest in land, buildings, fixtures & inventory. 2) An MLM agreement resembles a “master franchise” agreement, which provides the franchise holder the rights to “recruit” or sell sub-franchise agreements within, typically, a geographic area. George Cohon, for example, bought a master franchise for McDonalds in Canada, giving him the right to recruit – sell franchises – across Canada (smart move – looks like he’s done well). Similarly, MLM reps can recruit their own sales team, though usually without geographic boundaries, though unlike franchising, in MLM you don’t pay extra for that. Other than that, I can’t see much difference between franchising & MLM. As with anything else in the market, risk/reward and investment are all linked. A McDonalds franchise may be a pretty sure bet (no longer a guaranteed success) but the up-front cost is reputedly well over $250,000 per location, & has been for decades. Pizza Pizza locations will produce less revenue & may be more risky, but they cost less to purchase & set up. MLM requires minimal financial investment, no location costs or geographic constraints, but the returns will be smaller “per location”/rep, and will require more personal effort to produce results. And unlike a typical franchise owner, you can compensate for that by recruiting & building your own team. If you can help them be successful, you get successful. To me this seems highly normal, and ethical. Great comparison to franchises James. And thanks for the input! It’s a very intelligent comparison.